The 2018 holiday season is officially here, and you can bet your bottom dollar that consumers everywhere are preparing for it. The question is: are you? Whether you're in the business of customer loyalty, employee engagement, or member retention, the holidays represent a major opportunity to strengthen the relationships you value most. Here at Access, we want to help you get ready. After all, 91% of consumers say they plan to "celebrate the season" this year, giving you a chance to fill a stocking with goodwill. Read on to learn more about how (and why) a little extra care and consideration can go a long way during the holidays. With Thanksgiving and Christmas just around the corner, people are feeling pressure to stay on top of their holiday shopping. 18% of U.S. consumers started their yuletide spending as early as September, with another 21% beginning before November and 60% before Thanksgiving. There's no intention of slowing down the festive spending this year as retail holiday sales in the U.S. are predicted to grow between 4.3% and 4.8% over 2017, with Americans projected to spend up to $720.89 billion this year. Last year, 58 of the 60 shopping days in November and December resulted in over $1 billion sales ALONE. It's no secret people are spending larger-than-usual sums of money to get ready for the holidays. So what exactly are they spending their hard earned dollars on this time of year? Consumers plan to spend a total of $1,007 on average for items like decorations, candy and gifts. When buying gifts for others, the most popular purchases are gift cards/certificates (54%), clothing (53%), toys/games (46%), books (43%) and food/liquor (39%). And many consumers, 78% to be exact, are looking simply to shop for themselves. When they do treat themselves, 42% say they'll choose food/liquor, 40% clothing, 26% shoes, 22% books and 21% cosmetics/fragrances/health & beauty. Most of us are no stranger to the added stress that comes with the winter season. 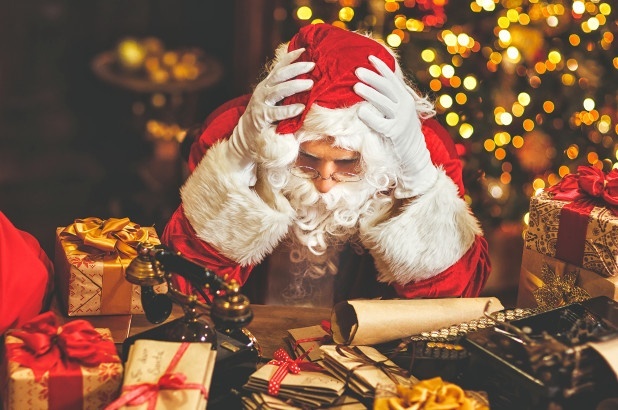 Holiday shopping can stir up anxiety in the best of us, with 31% of Americans describing the holiday season as frantic. And the annual holiday chaos has 64% of people saying their mental health stress level increases. So what is it exactly that gives people more gray hairs this time of year? People agree that the most stressful parts of the holidays are gift shopping (56%), crowds and lines (54%), cleaning (45%), knowing what to get people (38%) and cooking (36%). Plus, 69% of people are stressed by the feeling of lack of time, 69% by lack of money, and 51% by the need to give or get gifts. And to make that load even heavier, the pressure to have a perfect Christmas takes a toll on 41% of Americans. Bah humbug! The silver lining here? Member-engagement professionals have an opportunity to swoop in and offer some help to brighten up your members' holidays. 1. Focus on giving not receiving. It's a great time of year to celebrate your members and customers. There's no sense in adding to their already large to-do list by asking them to do something like take a survey, sign up for a newsletter, etc. Instead, help ease the intensity of the holidays by sending a festive thank you or treating them to a small gift of appreciation. For example, many people collect the holiday cards they receive and sit them out as decoration for the season. Why not add to their collection with a personalized card from you? Most people appreciate something as simple as a handwritten note, nice gift basket, flowers, festive treats, a gift card, etc. And if you happen to have an actual business location, consider offering up your space as a safe haven from the holiday chaos. Provide some warm cocoa, hot cider, a few holiday eats or some trendy food trucks, festive decorations, warm blankets, or even a nostalgic movie playing in the background. 2. Provide charitable giving opportunities. Sometimes focusing on giving to those less fortunate is the best medicine, as it's been proven that philanthropy increases feelings of happiness. Choose a charity or two to rally behind during the holiday season and extend the opportunity to your members to help spread some cheer to those in need. Some of our personal favorites are Toys for Tots, Oxfam America Unwrapped, Hope International, Angel Tree and World Wildlife Fund. You might also try coordinating local volunteer events, allowing members to donate their time in the spirit of service. Planning a time to help out at your nearby animal rescue shelter, food pantry, homeless shelter, retirement home or Red Cross are all great ways to bring your members together in a collective effort to make a difference in your community. 3. Give the gift of member discounts (our personal favorite). 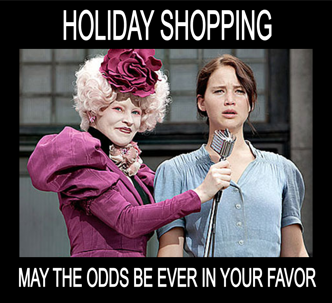 If there's one thing we can be absolutely sure of this holiday season, it's that the majority of people will be shopping. And before making those purchases, 87% of consumers will look for deals when shopping for holiday gifts and 82% say their shopping will be influenced by promotions. Discounts matter to the majority of your members and customers, so why not take advantage of this need to save? Offer to help stretch their paychecks a little further during the holiday shopping frenzy by providing a members-only discount program. Discount and loyalty programs are kind of our specialty here at Access. We care about providing clients and their members with relevant, quality discounts they're excited to get out and use. With merchants in 99% of retail communities in America, Access members are always near a relevant offer. Our savings network includes over 300,000 popular national merchants as well as valuable, local savings to places your members shop everyday. And with 71% of consumers doing their holiday shopping on mobile devices and about 60% using smartphones while in-store, show-your-phone discounts are a must. 39% of holiday shoppers use smartphones in-store to look for coupons they can redeem in-store. Our Access mobile app allows your members to search our 250,000+ mobile offers for great discounts they can use at retailers nearby. Super easy, totally stress-free. Tis' the season for giving - whether it's giving a thank you, a small gift, the opportunity to serve, or a discount program, your members will appreciate your efforts to bring a little peace of mind to an otherwise stressful time of year.